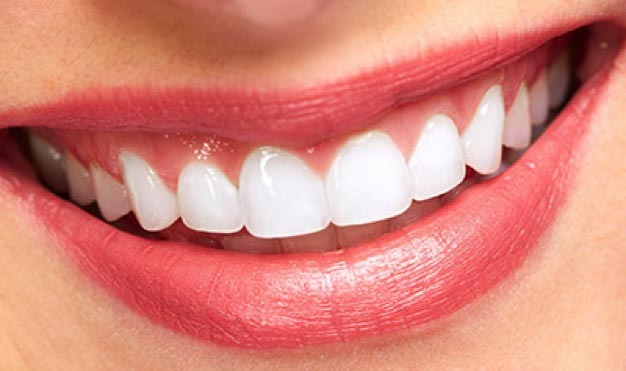 Cosmetic dentistry has achieved extraordinary progress when it comes to Teeth whitening. It allows us to obtain a natural colour without triggering unwanted side effects. Teeth whitening eliminates the stains on the enamel and dentine with the help of hydrogen peroxide gel. Our dental surgeons accompany you for a result that is in harmony with your face. At first, an oral exam is performed in order to insure the absence of contraindications (caries, weak enamel, gum irritation and others). Then a scaling is performed before moving to whitening. The treatment is done in 1 or 2 sessions of 30 to 90 minutes. the practicer apply a whitening gel on your teeth. he tends to first protect your gum through a cream. Only then the process of whitening is activated or not by the use of a ZOOM lamp. With a dental impression , the dentist crafts gutters that match your dentition. He then hands these gutters over to you along with the whitening gel (lower dosage than the one used in-chair). You will have to wear those gutters smeared with the gel for 30 to 60 minutes per day for approximately 15 days. The two techniques (In-chair and Take-home teeth whitening) are often associated in order to obtain better results. Tooth staining could be of hereditary origins ( natural staining or aging) or could be linked to the use of medicine as a child. The consumption of colored beverages such as tea and coffee could as well be a responsible factor. Avoid the consumption of colored beverages or brush your teeth just after. A brief and light sensitivity could appear during the first 48 hours after the treatment: use in these cases a fluoride toothpaste as it helps ease the effects.